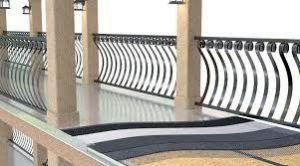 A below tile waterproofing system deck can serve as a gorgeous addition to your home, community, or business in San Diego. Tile is a durable building material, and it allows you to choose different colors, textures and patterns. Using tile as a surface for your deck can, however, pose serious problems both for your deck and for the building to which it is affixed…if it is not properly installed, the tile may cause water to pool on the deck surface, or water may soak into the wood in the underlying deck structure. Consequently, the wood is liable to rot, which can lead to mold, serious structural degradation, and perhaps even collapse. When this happens, it may be necessary to pay for a costly and time consuming deck reconstruction. An additional risk is that with improper drainage, water may seep into the foundation or structure of the building to which the deck is attached, potentially causing further costly structural problems. Further, tile will often expand when it soaks up moisture, which can lead to buckling or cracking as well as degrading the bond between the tile and the underlying structure. Fortunately, such problems can be avoided through the installation of an appropriate below tile system. One of the common approaches to this situation is to install a breathable membrane that serves to protect the underlying wood structure and to preserve the tile. The below tile system should additionally work to drain water off of the deck. 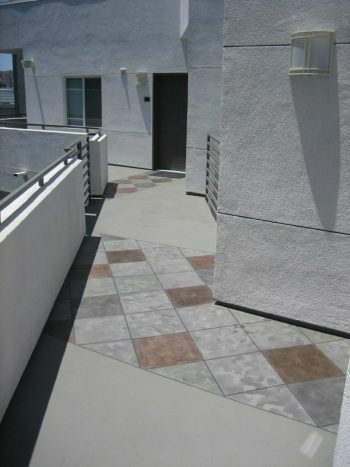 At Waterproofing San Diego we take such issues into account with every new construction and deck reconstruction job.